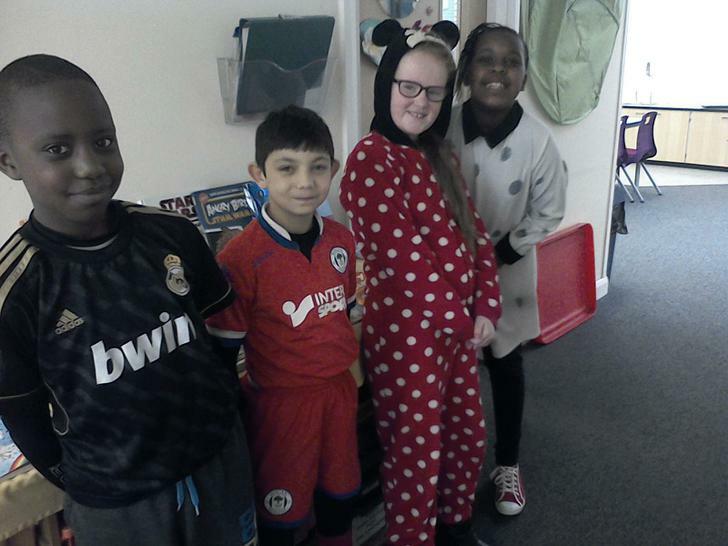 Hello and welcome to 5W's blog of the week. We have continued our investigation into fractions this week. 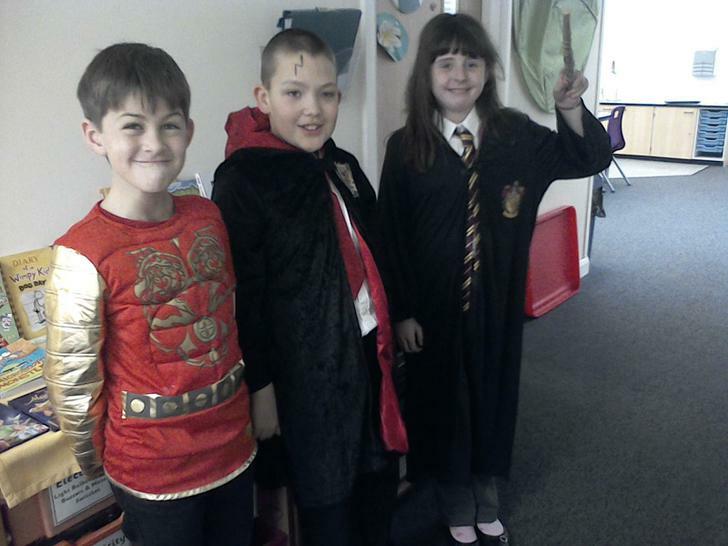 The children began the week by continuing finding fractions of amounts. The class understand how to find fractions of amounts. The children then moved onto looking at equivalent fractions, which means fractions that are equal to other fractions. Did you know that ½ is the same as 5/10 or 12/24? Keep practising those times tables at home, as they are so important to know. The children have continued working on their wordless book Tuesday this week. 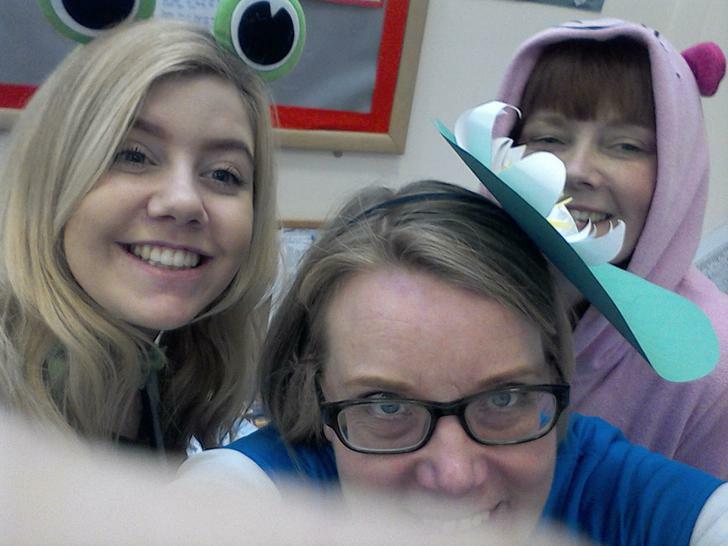 They have been using one of our super sentences-the double ly to produce some wonderful paragraph starters. The children began to write pages of the books, using double ly sentences, parenthesis, powerful verbs/adjectives/adverbs and even using fronted adverbials. 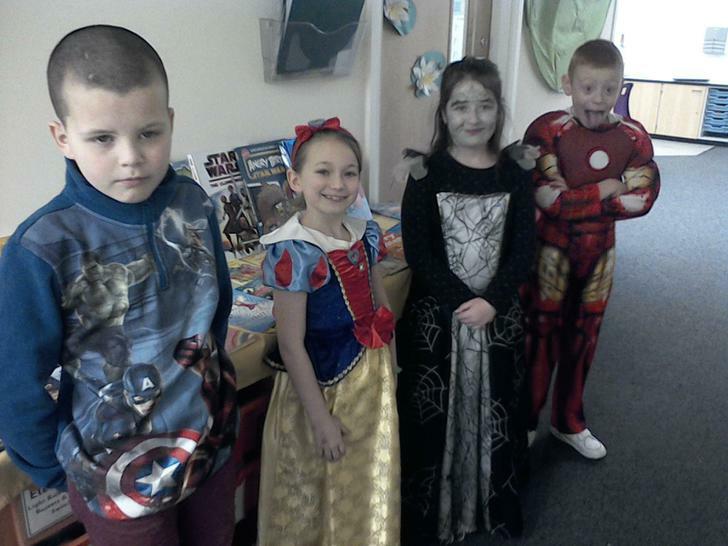 On Thursday it was World Book Day and the children got to dress up as their favourite character from a book. 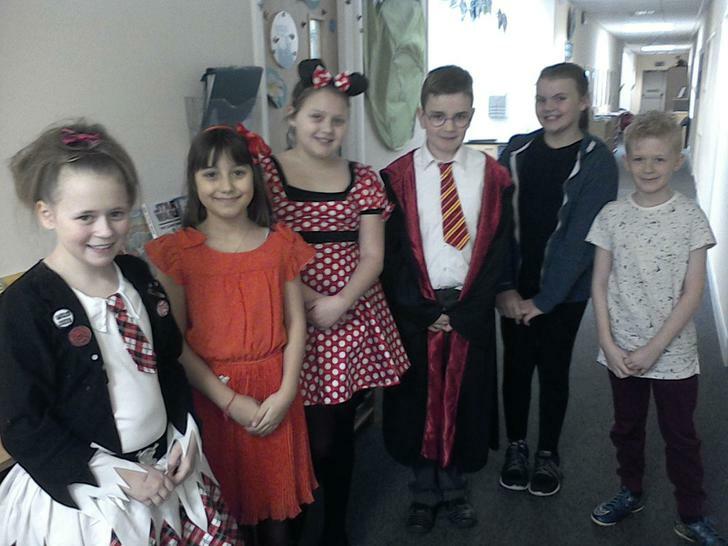 All the children looked fabulous and it really was fun (book fulled) day. 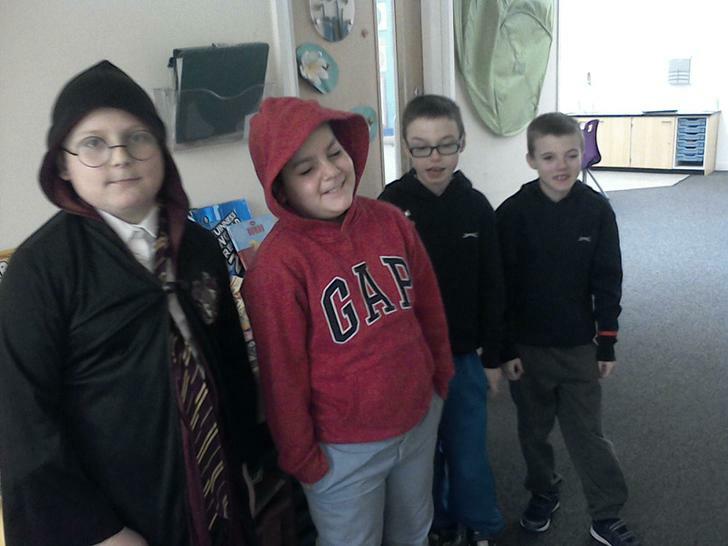 In topic this week the children have continued to look at two famous historical figures Alfred Wainwright and William Wordsworth. The children began to write biographies on these two key individuals, starting from their early life up until their deaths. In science this week we looked at Newton's Law of Motion. This is that every action has a reaction. Forces occur in pairs and can be either balanced or unbalanced. Balanced forces do not cause a change in motion. They are equal in size and opposite in direction.Have you ever had an arm wrestling competition with someone? If you compete against someone who is just about as strong as you are, there will probably be a time when both of you are pushing as hard as you can, but your arms stay in the same place. This is an example of balanced forces. The force exerted by each person is equal, but they are pushing in opposite directions, in this case together, therefore there is no change in motion. Unlike balanced forces, unbalanced forces always cause a change in motion. They are not equal and opposite.When two unbalanced forces are exerted in opposite directions, their combined force is equal to the difference between the two forces and is exerted in the direction of the larger force. Think again about the arm wrestling match. Only this time imagine that you are competing against a world famous body builder. Chances are that his force will be much greater than yours. Your arms will move in the direction he is pushing with a force that is equal to his force minus your force. We looked at the differences between balanced and unbalanced forces and the children drew pictures of forces that were balanced/unbalanced. Our certificate winner this week is Rhys R for his excellent piece of writing on our wordless book Tuesday. Lots of powerful verbs and adverbs and included parenthesis in his writing. Well done. 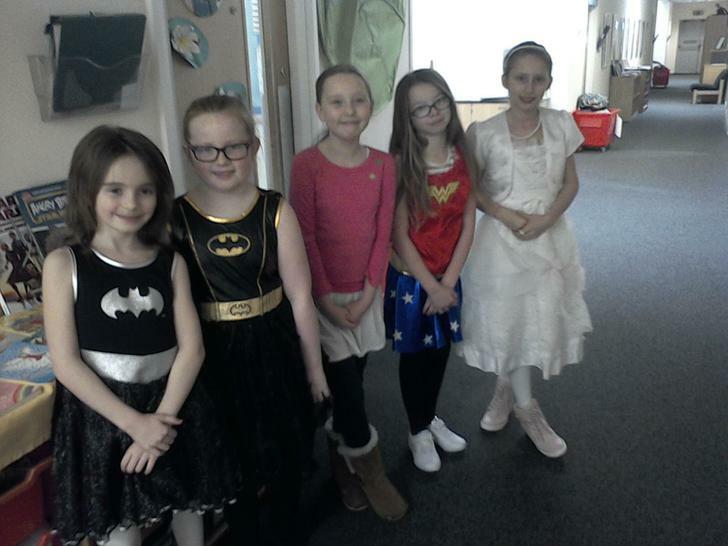 Hedwig's Reading Heroes this week are; Jakub, Jessica, Kiera, Lilia, Ryan and Emma. Brilliant, keep it up. Please make sure you are reading every night to be Hedwig's heroes next week. Well all that is left to say is hope you have a lovely weekend and I will see you all on Monday.